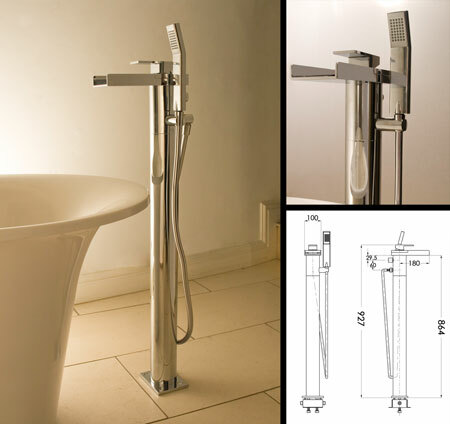 Waterfall freestanding bath filler has a handy handheld shower attachment for easy hair washing and bath cleaning. * Italian bath tap design. * Chrome on solid brass bath filler.